The turn of the twentieth century was a time of drastic change. The United States, led by President McKinley, and embroiled in conflict with the Philippines after the Spanish-American War, sought pro-American sentiment en masse. These were the years of Tesla, of Geronimo and Calamity Jane. The first cameras and the creation of alternating currents in electricity. In Buffalo, NY, the 1901 Pan-American Exposition was a city's desperate grab for dignity and purpose. Backed by the city's financial leaders and small donations from laymen, the fair promised to equal, or out-perform, Chicago's White City World Fair, which had happened only some years before. The city rallied and plotted the show of a lifetime. Margaret Creighton focuses on the big events of the period, as well as the figures who defined the fair's ultimate, anticlimactic conclusion. The book opens with the public electrocution of Jumbo II, one of the largest elephants ever to be held in captivity. And then it goes back to the beginning, when the seeds of the fair were first devised. Creighton recounts the stories of the fair's biggest investors, the President and his wife, the anarchist Fred Nieman, Anne Edson Taylor (notorious daredevil), Chiquita (the Doll Queen) and her ruthless 'owner,' Animal King Frank Bostock, the forgotten Jim Parker, and a full cast of other characters. The knowledge and breadth of the book is commendable and impressive. Many chapters are annotated and include impactful, stunning images from the era. But when it comes to the delivery, the story of it falls flat. I often found myself laboring through the sometimes tangential blocks of text and information. The title, description, and prologue all belied a common, purposeful narrative, but in the end, not only is the book delivered as a mere sequence of events, it failed to capture the "spectacle" and "electrifying fall" that would have endeared me to the text and brought out sympathy for any of its historical characters. 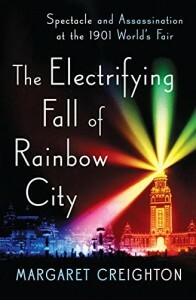 As a book of historical significance, The Electrifying Fall of Rainbow City serves its purpose. I learned a great deal about many of the injustices met out to minorities and immigrants and animals. But as a narrative, it fails to capture with its often clinical tone and its lack of a cohesive theme to bring meaning to often cruel and heartbreaking stories of the era. This book was furnished to me by the publisher in exchange for an honest review. It's been a while since I've devoured a book as sweet and sticky as Dear Opl. Shelley Sackier's breakout novel is charming and sophisticated, written to be both entertaining and educational. Opal is thirteen years old, and life simply isn't going well for her. Her father has passed away from cancer, her younger brother is dressing up in girls clothing, and her mother is simply... absent. With nothing but sugar to offer sweetness in her life, Opal fills the holes in her heart with Hershey's, bonbons, and bright jellybeans. Of course, gorging herself on sweets isn't without its consequences: Opal has gained some weight – a lot of weight, actually – and now, the only thing people seem to see when they look at her is her double chins. I found this book an absolute pleasure. 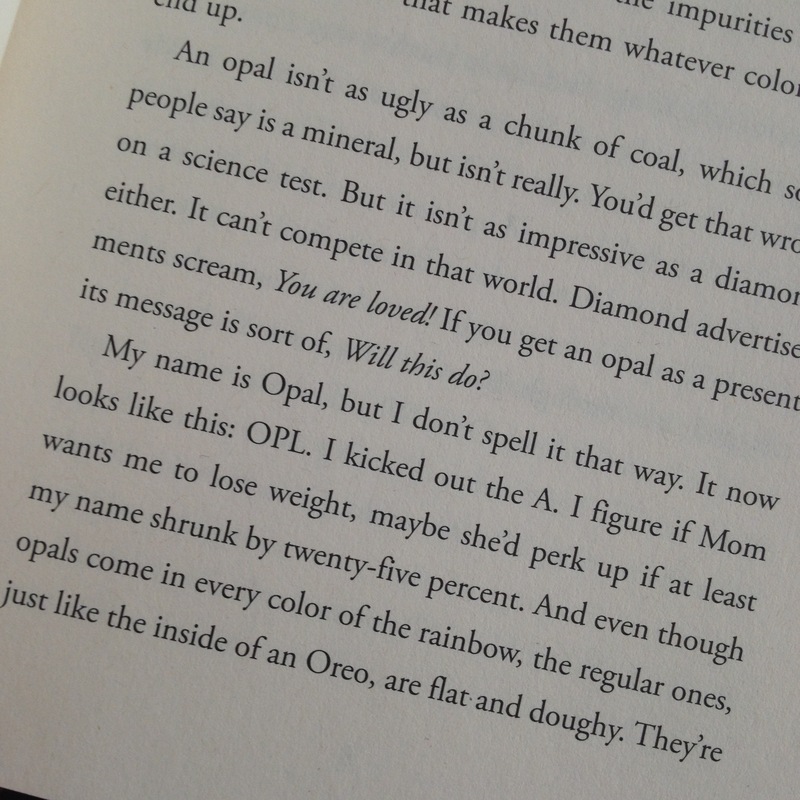 Opal is a witty, flawed main character with plenty of depth. I felt the narrtive was genuine, without contrived reactions or conflicts meant to up the stakes artificially (minus one of the events at the end of the book, which felt a bit underplayed, but I think for the audience this book is meant for, it won't be an issue). I loved G-Pa, and Ollie, and Opal's friend, Summer. 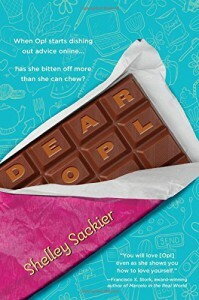 The book takes real issues, offers its readers opportunities to think about obesity, and the solutions to that... but most of all, its undercurrent of not being fearful of change is what makes Dear Opl a real gem. My only gripes are really not applicable to a book for this age group, but they include a feeling that some character arcs were somewhat rushed to completion, and that I would have liked to have had a lot more time with each of the different elements of the book. To that end, the book is left rather open, so maybe we'll have a chance to see Opal and her friends in another book soon! I'd recommend this book to any middle grade or young adult reader looking for a book with lots of laughs, and not laden with romance. And, if you're not satisfied with only the humor inside the book, I suggest checking out peakperspective.com, the blog home of Shelley Sackier. These two quotes perfectly encapsulate the spirit of the city I call home, and this collection of eighteen essays from long-time residents are as diverse as Kyoto herself. This book should not be considered a guidebook. 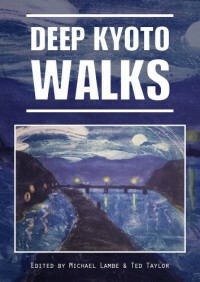 While it is true that there are directions, here and there, on how to find the intimate locations mentioned in Deep Kyoto Walks‘s pages, the true heart of the collection is in the people, and their experiences, both as Outsider Looking In, and Already Through the Looking Glass. A memoir of multiple consciousnesses, readers can expect to be taken into the lifeblood of Kyoto’s real culture, not just the stereotype emblazoned by so many years of postcards painting geisha crossing red-lacquered bridges. Step into the tsukemono (pickle) shops of Nishiki Market, the mish-mash architectural landscape of Kyoto’s ever-changing streets, ancient forests and mountain trails, shrines with less than peaceful origins, and the many smiles (or scowls) of Kyoto natives. I am depressingly behind on reading this wonderful magazine. Way back in September of last year, I read my first issue from Clarkesworld and haven’t picked it up since. There’s really no reason for it––no excuse. This is a gorgeous magazine, from cover to design to accessibility, with stories that are fresh, emotionally present, and masterfully written. Issue 92 took hold of me from the start and refused to let go. I found myself savoring each story, unable to just blast through it like I can with other anthologies. The selections made me pause and consider so much about what science fiction can be, how it can feel even when its dystopian. One of my favorite things about this magazine, more than any other on the market for science fiction, or fantasy, or literary, is the covers. 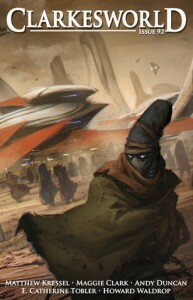 All of Clarkesworld’s covers are epic, masterful works of art in the modern style. It gives the magazine an air of quality that really makes me eager to crack open its pages and dive right in. A lot of these artists are people I follow on Deviantart, so it’s awesome to see them getting exposure on the cover of a magazine I love. In any case, this review isn’t just about the art of Clarkesworld! There are some amazing stories to talk about, as well. I should also mention that for those people that prefer audio formats, Clarkesworld has a podcast available for download on multiple formats. In a distant future where stars blink out like lightbulbs and the idea of a diversely populated universe is a thing less of memory and more legend, the Meeker travels the universe with the All-Seeing Eye in search of more celestial fuel. A chance find of human DNA leads the All-Seeing Eye to recreate Beth, a woman doomed to die hours after her revivification. This story is touching on so many levels, and though the story only features three main characters, it fills the mind like the great expanse of the cosmos. The lonely dark is palpable, and its themes ask the great questions of what it is to suffer, and to be used. I would love to see this story, or at the very least this universe, expanded, but it it just perfect as it is now, as well. If you read nothing else from this issue, be sure it’s this one. Also, I’ve started following Matthew Kressel’s blog, which is quite well-written and engaging. Take a look! Time travel. Love (or Obsession, depending on how you read it). A Gift in Time is a wonderful LGBT contribution by Maggie Clark. Mouse, a modern-day relic hunter, has a special gift. With a thought, a twisting beat of his heart, he can travel through time. His gift he uses for the sake of another, his “Adonis”, a secretary at his work that he is obsessed with pleasing. But a small mention of some long-lost article sends Mouse scrambling into the past to find it, but at the core of this story is the message of losing yourself for another. A touching story that uses its scifi elements to enhance the story, rather than overpower it. It took me a while to slip into this story, partly because the narration was in first person, and even though I don’t mind first person, I tend to find it inauthentic when the narrator gets overly descriptive in a desolate or desperate landscape. I took half a day off from finishing the story and started over, so I could come back to it with a fresh mind and start again. The story, the trek of a woman across the barren landscape of a future world with merely bunkers and bodies of the dead, is a vignette; a dystopia void of humor, light, or hope. Only the question of ‘why’ pulls the narrative along. For fans of serious, darker science fiction, E. Catherine Tobler’s tale fits the bill. While the story is superb in its latter half, I would have liked more answers to the questions raised by the story, overall. It’s the Wild Wild West, and Sheriff Lindley is just trying to get some shut eye. However, between peach thieves and Martian invaders, it’s hard to even keep his eyes closed long enough to dream. Waldrop’s contribution is a good, old-fashioned hoedown with a retro scifi feeling. I loved the dialog and the action sequences in particular. A little hard to keep track of all the characters in so short a piece, though. There were so many things that could have gone wrong in this story. John, a black man from the Deep South, dies after swallowing poison, and ends up taking a train to Hell–except John refuses to get off at the station, and ends up in Beluthahatchie. Duncan creates a vivid, purposeful narrative (told in convincing first person) that takes you down the old familiar tale of the Delta Blues and the Devil. One of my favorite movies of all time is Crossroads, so this made Duncan’s story an absolute pleasure to read. Another story I recommend not skipping, even if you’re in a hurry. For the sake of time, I’m not going to review Clarkesworld’s nonfiction articles individually anymore, but I will point out the few that stood out to me. Ed Grabianowski wrote an excellent article on prosthetic limbs and their history. Definitely worth a read if you plan to make use of them in your stories. Bud Sparhawk’s article on the various software available to writers is not all-inclusive, but it’s a decent starting point when starting to shop around for new ways to get writing. The Japanese tradition is long and complicated, with subtleties that are truly hard to capture in a work of extant fiction. However, Katherine M. Lawrence does a wonderful job of it. Peppered throughout "Cold Sake" and "Haru" are little details like using the old calendar (Year of the Monkey, for example), and translating the tongue-twister names of people in the pre-modern era so that their inherent meanings can be gleaned even by readers unfamiliar with the language. 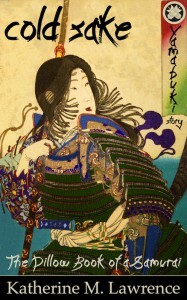 Doubly impressive is the character Yamabuki herself, deftly crafted and executed on the page and throughout the story. Skillful, confident; full of Japanese "warrior spirit", Yamabuki embodies much of what the original tales of samurai and the feudal era would have given her, making Lawrence's work feel authentic. It is also reminiscent of Lafcadio Hearn's gothic tales of Japan, as well as "The Tale of Heike", but again, with the pleasant and refreshing twist of a female protagonist. I was thoroughly pleased with the portrayal and use of Yamabuki's gender as well––the story avoids the usual traps of the 'female warrior trope' by keeping Yamabuki human, indeed sometimes gloriously androgynous, yet the fact she is a woman is essential to the story. "Cold Sake" takes up roughly half of the Kindle file, with the other half being dedicated to an excerpt from a novel Yamabuki will be featured in as well. Lawrence certainly gave a great teaser––I am eager to pick up the next installment in the series. The only problem I had was that, while the beginning and the end of the stories were quite strong, the middle parts seemed to drag at times, focusing too much on establishing more setting or explaining terms and culture for the reader. As a student of Japanese and a long-term resident of Japan, I realize that not everyone going in will have an understanding of the language, and even with the help of the well-organized appendix in the back, might stumble through a few parts of the text. Still, if you are looking for a unique window into the world of medieval Japan, "Cold Sake" is a great place to start. More a philosophical and spiritual musing on the supernatural stories of Japan than a collection of ghost stories, In Ghostly Japan by Lafcadio Hearn is beautifully written and wonderfully thought-provoking. The text leans heavily into the doctrines of Buddhism, but with a clear, Western interpretation and consideration. 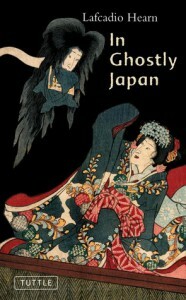 Despite not totally living up to its name (think more anecdotes, rather than actual ghost stories), In Ghostly Japan is still worth a read for its cultural relevance, as well as Hearn's unique and powerful imagery. There are a couple of short ghost stories in the collection, but most lend themselves to 'impressions' of ghosts rather than full-on haunting, so if that is what you are looking for, you won't find it here. As well, some background in the language of culture of Japan will greatly increase your enjoyment, as there are not enough footnotes or translations of certain pivotal words (like sen for money) to make the work abundantly clear. Also, as I mentioned, the book leans on Buddhism for most if its readings, so be aware of that going in. A book I would happily pick up for a second or third reading. The Cycle of Corwin has ended. Now come the adventures of his son, Merlin, born of Dara, holy terror of the Courts of Chaos. You might remember her as the demon that disguised herself as Corwin's grand-niece, in order to learn how to walk the Pattern and gain enough power to destroy Amber. Yeah, her. I didn't like Dara, but maybe this book would have been more interesting if she'd been the main antagonist, because the book certainly needed one. A sorcerer, artist, warrior, athlete, and technological genius, Merlin (aka Merle) lives a boring, uncomplicated life in one of his father's old Shadow haunts, trying to emulate the father he wishes he could have gotten to know better before he disappeared into Shadow. However, the white rider Corwin met in the Courts of Chaos in the last book is a far cry from the 'Merle' shown to us in this novel. He is unquestioning, uncaring, and in general, unaffected by anything going on around him, which makes the narrative a boring trod through "This happened", and then "this also happened", and "Wow, what a coincidence". Very rarely does his 'humanity' show through, and when it does, it is self-serving. While I didn't like Corwin overall, Corwin at least had real moments of questioning his motives, or feeling sincerely bad for the things he had done. Merle has only one instance of this, but after what felt an obligatory 'whoops, my bad', he carries on without being truly affected for the rest of the story. The book begins on April 30th. April 30th is an unlucky day for Merlin, and has been for the last seven years, on account of the reoccurring attempts on his life. He has come to expect them now, and hopes to get to the bottom of it this time. Following the horrific death of one of his ex-girlfriends, and his procurement of some very strange Trumps, Merlin jumps off to solve the mystery of the Trumps (the title of the book, after all), but after the only real interesting scene of the first half (in which he plays a riddle game with a Sphinx), this plotline is promptly forgotten and never picked up again. Instead, it becomes another "Who-dunnit", without all the weight and skill of "Sign of the Unicorn", or even a conclusion. No real spoilers to give here. Nothing happens. The antagonist's name is revealed, but that is basically all. Again, all a teaser for the next book, which I have no real inclination at present to read. Suddenly everyone seems to have the ability to draw Trumps on a whim. This was a skill that was heavily guarded, and for good reason, but now anyone who is related to Dworkin can do it, and it takes away all of the interest for that magic system for me. And speaking of the magic system, Merlin has the ability to do a "backwards shadow walk", which means he can conjure anything he desires out of shadow, no harm, no foul. It doesn't even seem to tire him. Yet when it comes to the climax of the book, he decides to take the longest possible route, rather than pulling that thing to him, easily. It's also just one of those ultra-convenient abilities that makes things a little too easy. Frakir. I'm assuming that there is a short story somewhere out there in the universe that Zelazny wrote that explained things more, but I do not know why Merlin is in possession of a half-sentient, invisible thread whip, or what even its full abilities are. More convenience, that was never really explained. Ghostwheel. I can not believe the willful ignorance on the part of Merle regarding his creation. When Random (thank goodness he was in the story for a few pages... that's one of two reasons this book has a star at all, honestly... the other being the conversation with the Sphinx) brings up valid concerns about the latent power of Ghostwheel, Merle just pouts and says "I don't care. I do what I want." ...to obvious calamity. It was really disappointing to read this first book in the second cycle of Amber, and find basically everything from the first books that are still unanswered abandoned, and instead get led around by a shadow of a shadow of Corwin (without the arrogant wit, or any real defining personality trait) on a mostly mundane and speculative journey to... well, I suppose it was less of a journey, and more Merlin thrown in a whirpool of coincidences and events thrust on him by other characters trying to have a story. In short, I will keep reading, but only because I feel obligated to finish the omnibus. But, if you are looking for a casual read to pick up, you can stop at book five, "Courts of Chaos", and pick up something else on your to-read. The Golden Age of the Fairytale Lives On! King Austyn is a benevolent, adept ruler who spends so much of his time making sure the people in his kingdom are happy that he has yet to marry. Unfortunately, if he does not marry before his thirtieth birthday, then the crown will be bequeathed to his conniving, power-hungry first cousin. A board of advisors chosen by Austyn's father is determined not to let this happen, and hold a great contest to find their king a queen before the looming date. Marcelline, the eldest of seven daughters, works hard to help her family survive after her father grows too old to tend the fires of his forge. She has absolutely no interest in such a contest, but terrible and heart-wrenching forces lead her to Austyn, who holds the only key to giving Marcelline her heart's greatest desire. 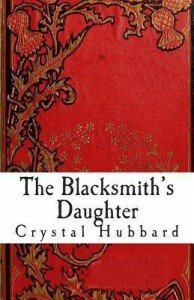 Crystal Hubbard writes in a perfect classical voice, using repetitions and alternately romantic and witty dialog to build a rich, enjoyable world for her charming fairytale. In the veins of "Beauty and the Beast", and "Cinderella", "The Blacksmith's Daughter" enriches what is truly wondrous about the Fairytale: good triumphs over the wicked! This was originally reviewed (along with every single story inside this anthology) over at http://alex-hurst.com, in the series "Tackling Poe". Naturally, to leave a review of everything here would be far too long, so this is the part of the review focusing on this collection's merits! I finished reading Edgar Allan Poe: Complete Tales & Poems about a week ago, but I wanted to give myself some time to digest everything, watch The Raven, and to formulate my final thoughts. To start off, I think that––overall––this collection was fairly good. I did have some issues with it, as I’ve talked about before in some of the earlier parts of this massive review series. I really didn’t like that each story was just a sub-chapter of a larger heading, and formatted in a way that you couldn’t keep track of how much time was left in each segment (I often use this when I’m trying to justify staying up late or reading more during a break), and there were a few incorrectly classed pieces under the Essays section. The compiler of the work did do a very good job formatting the poetry and fiction prose. They used true type, so even on the Kindle, it made for very lovely reading. Little embellishments, like unique titles, made the anthology look more polished. I would have liked to have seen more context notes, because some of the stories and poems made a great deal more sense with the context I was able to glean from the internet (after only moderate searching). 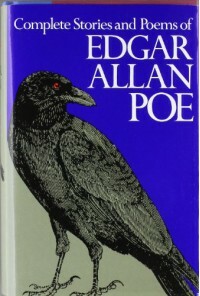 Since all of Edgar Allan Poe’s works are public domain, and free, I expect more of an anthology, in this regard. In many cases, the poetry or fiction notes that Edgar Allan Poe wrote to his editors at the time were not included with the stories, to the detriment of quite a few of them. However, I know that to compile and format an anthology of this size and breadth is near impossible to do without some technical errors, and as most of my complaints were merely stylistic and subjective, I can recommend this anthology to most readers. Nothing will compare, I think, to seeing Poe’s works on paper (and being able to find quotes at a glance), but this is a close second. The section in the back which lists references to derivative or inspired works was very interesting. Much respect to Maplewood Books. The anthology is a beast, totaling over 407,000 words total. Now that I’m finally at the end of the collection, I would like to offer a list of recommendations. I’ll choose ten of his “classics”, ten “unknowns”, and fifteen poems which I do not think are well-known (of course everyone knows to read “The Raven”, “Annabel Lee”, “Lenore”, and so on). All of these are entirely subjective, but I think if you read nothing else but some of the thirty five I suggest here, you’ll have fairly good luck in reading something you’ll enjoy. They are in no particular order. The Courts of Chaos, the final book in the Corwin Cycle of The Book of Amber, is a sojourn into the philosophical, the religious; more inward looks than outward journeys, all leading to an under-stated finality of resolutions, repentance, and regret. A short read that ultimately is more of a backwards epilogue, The Courts of Chaos departs from the intrigue and action of the prior two books in the series, to instead focus solely on an intangible, irreconcilable argument between Corwin and a crow. A reader might be reminded of Ingmar Bergman's character, Antonius Block, playing a game of chess with Death in The Seventh Seal. But there is no board in this novel, only the ever shifting, exhausting paradigm of the hellride Corwin takes in order to get to "the end of the world". I often imagined that the dialog shared, internally and externally, might not be the argument of Freud versus the doctrine of Buddha, and I found many instances to support the claim. That being said, I'm not sure how useful it actually was to the story that was already in progress. It also, definitely, got a bit preachy, even if the end result was interesting. An example of the dialog that occurs in that section of the book: "One needs to fix one's vision firmly on the Absolute and learn to ignore the mirages, the illusions, the fake sense of identity which sets one apart as a false island of consciousness." At 60% of the way through the story, we are finally returned to the action with the rest of the family. We have missed most of their own preparations for the end battle of this cycle, and are far from them as the crisis comes to a head. In this sense, I was disappointed with the climax. While the narrative remains true to the limitations of first person, it means we, the reader, can not see any of the action occurring outside of Corwin's own stage, and, similar to the last book, while he is technically a linchpin to the story as a whole, he is by no means the only one capable of solving the conflicts. Indeed, his duty (and what an important word to keep in mind for this section of the story) is to assist others who will have the glory––and important and necessary path for his character as it has been built––but ultimately, something that makes the narrative suffer, in my opinion. That isn't to say I didn't love the growth, and the beautiful end of the story, for I have come to like Corwin a lot more in this book, but, in a seeming parallel (if Zelazny did this on purpose, he is genius) to Corwin's own cold-to-warm relationship with another character in the book, it comes too late––at the end of the cycle. I'd like to now him more now, though I'm not sure I'll be able to, given the next five are called the "Merlin" cycle. I foresee a bit of a focal shift, in this regard, but maybe I will be wrong and pleasantly surprised. There were no huge revelations in this novel; no real, life-altering surprises, except for the naming of the future king, which I won't spoil. There were a few scenes (in particular, a stint with a bunch of drunken dwarves, and a lady who tries to seduce Corwin) that seemed to have no real merit at this point in the story (and also reminded me heavily of the meandering nature of The Guns of Avalon), and I couldn't help but feel, for how short the book was [someone else mentioned it was about 140 pages], that they were stealing time away from the parts of the story that really mattered to me as a reader. All that being said, the story is written beautifully (sans most of the hellride), and the metaphysical components of the story are fully realized in a grand, sweeping, circular way. It is not the strong finish I was hoping for, but it is adequate, and as far as a character introspection goes, Corwin has one of the most moving, touching final thoughts of any character I have read of in a long time. Amber: high and bright atop Kolvir in the middle of the say. A black road: low and sinister through Gamath from Chaos to the south. Me: cursing, pacing and occasionally reading in the library at the palace of Amber. The door to that library: closed and barred. Premonitions played tag in the grottoes of my mind, none of which I would have cared to take to lunch. "And where do you travel?" he called after me. Why not? "To the ends of the earth!" I shouted back. He broke into a jig atop his shattered door. "Fare thee well, Corwin!" he cried. I waved to him. Why not, indeed? Sometimes, it's damned hard to tell the dancer from the dance. All shadows flow from Amber. 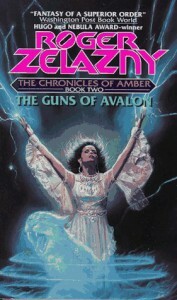 This we have known since the first book, [b:Nine Princes in Amber|92121|Nine Princes in Amber (Amber Chronicles, #1)|Roger Zelazny|https://d202m5krfqbpi5.cloudfront.net/books/1368213697s/92121.jpg|1383240]. The Pattern, the great seal of magic, is the rite of the princes to walk. 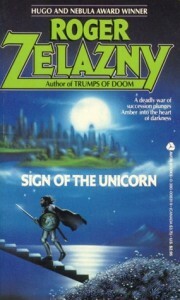 But the end of the last book, [b:Sign of the Unicorn|239917|Sign of the Unicorn (Amber Chronicles, #3)|Roger Zelazny|https://d202m5krfqbpi5.cloudfront.net/books/1368213756s/239917.jpg|2425692], left us with Random, Ganelon, and Corwin on the brink of a revelation that will change "the game" forever. 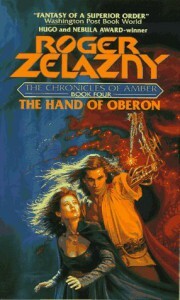 [b:The Hand of Oberon|116982|The Hand of Oberon (Amber Chronicles, #4)|Roger Zelazny|https://d202m5krfqbpi5.cloudfront.net/books/1368213780s/116982.jpg|1837346] picks up directly after that revelation, and doesn't let go until its wicked conclusion. Part of me is so eager to move on to the next book that I seriously debated not writing a review at all. The novel contains everything that I love about literature like this: intrigue, plot twists, revelations, character growth, timely recaps, and complicated puzzles. Reading The Hand of Oberon was much like reading Sherlock Holmes––except Corwin doesn't have the benefit of anyone but Moriarty to light the path. Zelazny packs a powerful, gripping narrative into a short, 200-page read, casting just enough doubt in every scene that you can't help but question everything that is said; can't help but be drawn into the conflict and balance the stakes as carefully as a juggler tossing knives. Just when I started to feel comfortable that I knew the direction the pieces were taking, another character would come along and flip the table, scattering them all about again. Rather than feeling like the author was simply playing with me, these twists and turns were exciting, and drew me into the narrative even further. The main characters this time around remain some of the old favorites: Corwin, Random, Benedict, Ganelon... Fiona and Brand play heavily into the plots, as well as a brief interlude with the mentally-unstable gnome Dworkin. Throughout the narrative, we begin to see growth in characters, changes in the way they think and consider each other. Of course, given all the tiny little misdirections, I have my suspicions about which changes for the better are to be believed. But this is the fun of the series, a race to figure it out before Corwin, or before any of the others in the story have a chance to tell you. In addition, the writing continually grows more and more refined, more precise––most notably I can feel the cleverness of phrase, and delight in the work, over the first book, in which the voice of the material was more straightforward and bland. The Hand of Oberon felt tight and confident, Zelazny's skill in the story he weaves abundantly clear. I highly recommend this one, even though I remain ambivalent to the second book. Corwin: "Hold on a minute!" Ganelon: "Hold on, hell! You imported a master strategist, you'd better listen to what he has to say." The world as we know it is a mere shadow of the true kingdom of Amber, a land bereft of shadow, and home to several princes and princesses vying for the empty throne that rules over all. 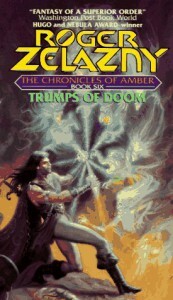 A metaphysical fantasy with complex magical systems, an intriguing back story, and a clever mix of a multitude of genres, the Chronicles of Amber is well-regarded as one of the most influential series of its kind––and with the master wordsmith and philosophical Zelazny at the helm, the series promises much to its readers. What it chooses to deliver on is another matter entirely. After the disappointment of Guns of Avalon, I was hesitant to pick up this series again, but I decided I would give the books the benefit of the doubt, and chalk the floundering feel of the second book to 'sequel jitters'. In short, Sign of the Unicorn delivers much in the way of character development and intrigue, but fails to deliver satisfying conclusions to conflict. Before I get into what I really loved about the book, I'll mention what I wasn't all that fond of. Guns of Avalon ended on a decided cliffhanger, a hook, of sorts, for this story to pick up on, but it never does. Dara is absent, and there is no further retrospection that considers her existence save one scene, at the very end of the book (invariably trying to hook readers once again, and perhaps succeeding a little better for avoiding the corny dialog from Guns of Avalon). Secondly, the first part of the book (roughly 20% of the entire novel) is taken up with a narrative told from the perspective of Random. Now, I'll be the first to say that Random is one of my favorite characters, tied closely with Ganelon, but there in laid the rub: I found Random's narrative more interesting that Corwin's, so sulked a little bit when we had to go back to him (I got over it). A secondary, stylistic concern to that was I didn't actually realize I was reading Random at times, because there is no stylistic change between Corwin and Random––their narratives read exactly the same. Part of it was Random was telling Corwin his story in full, descriptive detail, but this is also told in full, descriptive detail by Corwin to the Courts of Chaos (who we do not know yet), so it felt a bit out of place––when was the last time we could relate a story in direct quotes that your friend told you, which took several hours to tell? With the exception of those couple of grievances, though, I did actually enjoy this book. It got right into the meat of what I was interested in. Characters were developed, intrigue within the family was opened unapologetically, and the whole of the narrative took a break from the action-adventure-that-doesn't-go-anywhere (Guns), to a heavily twisted game of Clue. The plot moves very little in this book, so I don't want to give any of it away, but I loved the play of the characters analyzing one another, the richness of the dialog, and how you could feel the multiple layers in every answer and question. Zelazny also devotes a huge amount of time in the text getting philosophical and psychological, and these were readily enjoyable. Even though the plot was not really resolved satisfactorily, the richness of character in this volume restored the excitement I had for Amber in the first book, and has made me eager to continue the series. The books should, however, be considered more parts to the whole, rather than anything close to standalone novels. If approached that way, they are less likely to disappoint, I think. Texorami was a wide open port city, with sultry days and long nights, lots of good music, gambling around the clock, duels every morning and in-between mayhem for those who couldn’t wait. The others glanced our way as she appeared and she hit them with that smile, like the Mona Lisa with a machine gun, turning slowly. “To hell with everything. I’m going to bed.” He nodded. Imagine, for a moment, that your soul was not you. Imagine that your soul was, instead, a hostile invader that fed off your every emotion, amplifying them, and shortening your life with its insatiable appetite. This is the world that surrounds Emily, the world she has always been in, yet not a part of. Things don’t work for her like everyone else. After her fiancé is killed in a gas station fire, Emily is indoctrinated into a world of conspiracy theorists, religious beans, and one hot alien. Mysteriously, and beyond all the laws of common sense, Emily finds herself pregnant with a baby that is growing at alarming, ever accelerating rates. There is no father. And between a pain killer addiction, imminent bankruptcy, and an inability to find work in her condition, Emily must also decide who to believe, before the world is changed forever. Linda Laforge provides a tense, swift read with a memorable plot line and (mostly) rational characters. The author’s strengths are in the book’s focus, which keeps the plot moving forward without unnecessary pitstops. At times, the characters felt a little thin, lacking emotion when I felt there should have been more, but overall, I enjoyed this read. The formatting of the ebook was also a pleasure, with little touches that made the work feel more like a paperback in my hands. 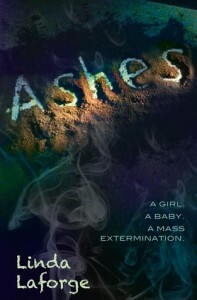 Readers who enjoy a little conspiracy, apocalypse, alien invasion, or mysterious pregnancies in their books will find much to enjoy in “Ashes”. An excellent primer, but in need of an update. William Hertling's book is a wonderful, systematic and focused approach to book marketing for self-published authors. 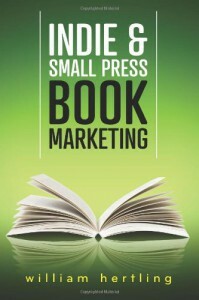 "Indie & Small Press Book Marketing" makes an easy-to-follow path in the maze that is book marketing, but it is not all-inclusive, and due to not having an update in over two years, is also a little out of date. I really wanted to give the book five stars. I enjoyed the banter of the text, and the simplified formulas for making sense of sales figures, however, the lack of mention of any platform beyond Amazon, LinkedIn, or Goodreads (nothing on LibraryThing, Shelfari, Smashwords, for example) as a venue for marketing was a little disappointing. I was also looking for more tips on how to find industry "influencers", either through directories like "The Indie View", or mentioning other large book sites, such as Shelfari, Book Riot, etc. In addition, despite the title of the text, the book heavily leans towards self-publishing authors, as the most important tactics for gaining the initial reviews in Phase 2 require interpersonal relationships with friends and family. Book marketing practices for indie presses, as a business, are practically nonexistent, except for targeted marketing on FB or Goodreads (which I imagine has changed quite a bit since 2011). Considering the fact that I bought this as a study tool for an indie press I work for that is just starting out, I found the info lacking on that end. However, for authors who are looking to promote their own work, this is a great, simple resource that points you in the right direction. I definitely recommend it for authors who are writing either non-fiction, or clear-cut genre fiction. And so continues the misadventures and quest of Corwin, Prince of Amber. It's hard to pinpoint the main plot of this book, as it really just serves as a setup for the next novel in the series. It has several straggling, loose side-stories that barely keep interest and at times even come off as cheap attempts to force the story along or introduce more characters. I'll try anyway. After saving Lancelot, Corwin is taken to the town of Lorraine, where he meets a man he once banished, Ganelon. Ganelon is perhaps my favorite character in the entire novel, and likely the only reason I gave this two stars, despite the fact, for the most part, Ganelon's presence in scenes is trivial at best. There is also a side-plot with Corwin meeting a girl. It isn't worth mentioning. It's only apparent purpose for this book was to reassert that Corwin is a lover and a fighter, but as of yet, the women from The Great Book of Amber are thinner than Bond girls, and that's saying a lot. The quasi-believable Dara is just another example, and unfortunately, we are forced to pay attention to her. From there the plot devolves, flirting between giving us an antagonist or a real conflict, or not, all while Corwin works to bring firearms into the country of Amber, so that he can massacre Eric's forces en masse. Gunpowder doesn't ignite in Amber, but after thousands of centuries, Corwin alone has stumbled across one substance that does burn in the shadow-less city--on accident, and prepares to have guns crafted in our (Earth) reality to fit the bill. This is basically all that happens in the book, sans ending, which I won't spoil here, but was very, very disappointed by. The majority of the book spends its time discussing shadow walking, while scarcely building on any of the threads of the first book, and lamely concluding those it did touch on. Benedict, the brother "to be feared above all others", finally makes his appearance, but his actions did not run parallel to his reputation, even though I found him interesting. 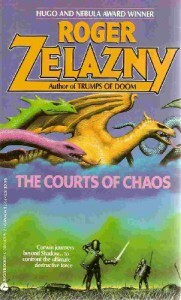 The book, as a piece of fiction, lacks a great deal in motivations; giving crucial elements in situations based solely on chance; and Zelazny's tendency to fumble by placing his well-crafted and intriguing characters in unbelievable contexts, while stripping them of all their reactions to the world of chaos around them. I find Corwin's narrative less and less believable as the books go on, and the magical system's rules, as defined in the first book, crafted merely for convenience. As an example, Corwin, now, among all of his other invincible skills and knowledge, now has a touch of "the sight", or an ability to guess at the future. Not that he ever uses it. He also experiences literally no setbacks to achieving his goal in this book. None. As another example, Ganelon, who shows true fear at walking through the shadows, having only lived in two worlds over his extended life (both resembling the other), is able to perfectly adapt to suddenly being in modern Switzerland and fronting as a German tourist with a camera around his neck. So much was lost there, I felt, to brush the character over for more innane passages of sky colors and ground formations. "I was as hard as stone, dark as soil, and mean as hell once more." "[Our father] tolerated us, I feel, as occasionally inevitable consequences of passion." (On Ganelon): "An unusual mixture of clay and gold, this man." (And an example of some of the absurdity in the book): "Behold your nemesis!" I have the omnibus, so I feel I should try one more, especially given its popularity and regard in the SF&F community, but would I recommend it? No. Despite the amazing premise, cool magical system, and wicked frames for characters, it's just that, so far... A frame. There is nothing inside it.